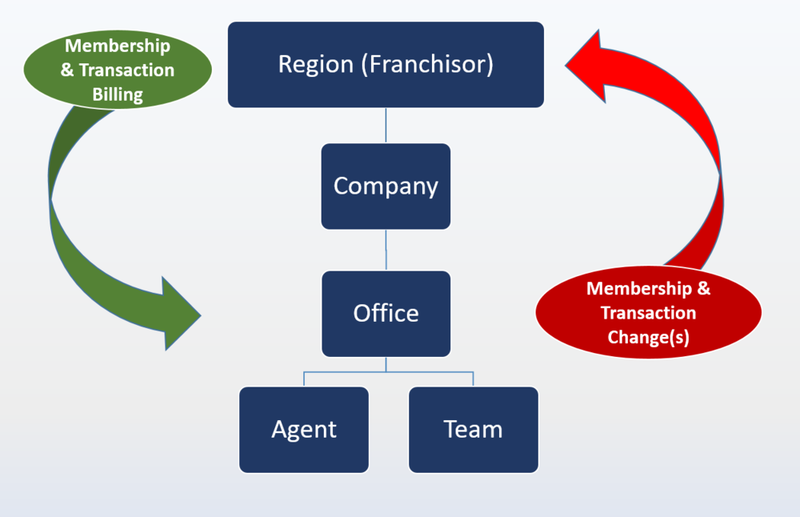 allows franchisors, large brokerages, or organizations to manage their membership and transactions from a central cloud application. affiliate driven workflow via their portal where they manage agents and report transactions with oversight and compliance. our fully prorated billing system integrates with quickbooks to provide complete accounting. Manage your entire organization including firms, office, teams, and agents with seamless self service prorated affiliate billing. Capture the complete history of roles and sync membership changes to your technology partners. Facilitate seamless real-time statistical reporting as your affiliates utilize our native MLS integrated back-office system or capture statics from 3rd party system using our open platform data transfer. Everything done at the transaction level. Comprehensive native reporting as well as KPI driven business intelligence dashboard with push reporting. All invoicing is pushed to pushed to QuickBooks for full accounting and membership changes are automatically synced to DocuSign.